Suddenly, the 20th Anniversary Mac seems downright commonplace. 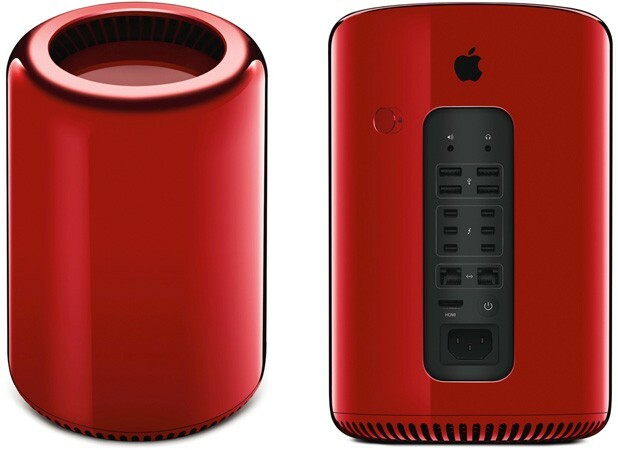 Apple's Jony Ive is teaming up with recent design partner Marc Newson to auction a one-of-a-kind red Mac Pro as part of a Product RED charity fundraiser. It's not clear what's different on the inside versus the regular black model, but look at that outside -- it's guaranteed that this workstation will be the centerpiece of the office. Be prepared to pony up if you like the idea of an ultra-exclusive system, though. Sotheby's estimates that the red Mac Pro will sell for $40,000 to $60,000; while that's a steal next to an Apple I, it's not exactly chump change. Check out both the Mac and some (slightly) more affordable rose gold EarPods at the source links.